The famed British writer of the early 20th century GK Chesterton once expressed the view that "the reformer is always right about what is wrong" before adding wryly that "he is generally wrong about what is right". The thought came to mind recently as I read the latest speech from the Archbishop of Dublin Diarmuid Martin on the need for reform in the Church. In a little over a month, Dr Martin - a long-time Vatican diplomat who expected to finish out his days in Rome - will be 15 years at the helm in his native Dublin. His high-flying career in the Holy See came to a halt when he was sent back to Ireland in 2003 as the 'Pope's man' to take over from an embattled Cardinal Desmond Connell. Mary Raftery's 'Cardinal Secrets' documentary, exposing the mishandling of abuse allegations in Dublin, had dealt a heavy blow to Dr Connell's moral authority, and the Vatican wanted one of its own to take the lead. Dr Martin has always been the Church's good servant, and he quickly built on the child protection reforms that his predecessor had begun, and ushered in a cultural sea-change in Dublin. Gone were the days of minimal and reluctant co-operation with the State on abuse probes, and transparency and accountability became the order of the day. Dr Martin even stood firm when Cardinal Connell took him to the High Court in a bid to stop the archbishop handing over confidential files to the Murphy Commission investigating abuse mishandling. The cardinal was persuaded to withdraw. To a sceptical faithful, angered and dismayed at their Church's slowness to act, Dr Martin was a breath of fresh air. His contribution to the Church's now evident culture of putting child protection front and centre is beyond dispute and he has built up considerable capital in that sphere. His leadership on the much-needed reform of the Church in Ireland is less discernible. Despite the fact that Dr Martin has been one of the most senior Irish churchmen in the early decades of the 21st century, there is precious little by way of blue-sky thinking when it comes to the reform of the Church. The archbishop has more often resembled a casual observer on Church affairs rather than one of the men with the levers of power. In Limerick this week, for example, he spoke about the disconnect many women feel from the Church. "We all agree on this, but nothing seems to happen. The alienation of so many women only increases." You'd be forgiven for thinking that Dr Martin is not in a leadership position to bring about the sort of reform he seems so unable to articulate. Could you imagine the laceration Taoiseach Leo Varadkar would get in the media if he were to express the need to end homelessness before adding wistfully "but nothing seems to happen". A political leader has maybe four years to make a dramatic impact on his or her country. By the time Dr Martin is due to step down next year, he will have had four times four - a whole 16 years to bring about the reforms he says the Church needs. Everyone knows the Church in Ireland is haemorrhaging young people in particular. 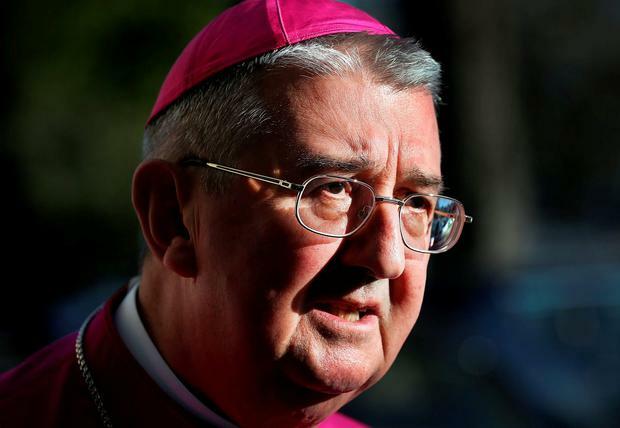 It's a subject the archbishop has spoken about extensively, even expressing the view that one of his biggest regrets is that the Church in Dublin doesn't do more for young people. But here's the rub: under Church law, the bishop is in complete control in his diocese. What he says goes, and what he doesn't want doesn't happen. Yet, Dr Martin has not pioneered any meaningful outreach to young people during his 15 years back in the capital. Priests and other bishops often speak with frustration about Dr Martin. They speak of a man who is second-to-none in diagnosing what is wrong with the Church. A man who has a keen eye for what has gone wrong and what should be done better, but curiously has no prescription for exactly how to do things better. But then perhaps Dr Martin had one great mission in him - bringing about accountability for the cover-up of abuse. And in that regard, he has certainly left the Church a lot better than he found it and everyone should be grateful for that. It's nine years this week since Benedict XVI wrote his landmark letter to the Catholics of Ireland in response to the abuse crisis. In it, he excoriated the bishops for their failings. He told them that the scandals had "obscured the light of the Gospel to a degree that not even centuries of persecution succeeded in doing". He was, of course, right. And it's a sobering thought for anyone who knows anything about the history of Catholicism in Ireland and the sacrifices previous generations made to hold on to their faith. The question now is: will the ancient faith survive in Ireland? It's not at all a given. Practice rates remain high, but if there isn't a priest to celebrate Mass in the future, will people miss it? Faith is fragile. There's so much talk of Church reform and Church renewal that doesn't lead anywhere. Many committed Catholics are frustrated that there is still no real role for lay voices in Church decision-making. The mission that Diarmuid Martin has left for his successor is to - with the other bishops - help chart a vision of the future that all people of faith can get behind and find their voice in a Church that is reformed and renewed. He will need to be a man of both vision and action. He will need to be someone who cannot just talk about reform, but who can walk the walk. This is a defining issue for the Church, and if it does not get it right the institution will continue to decline.